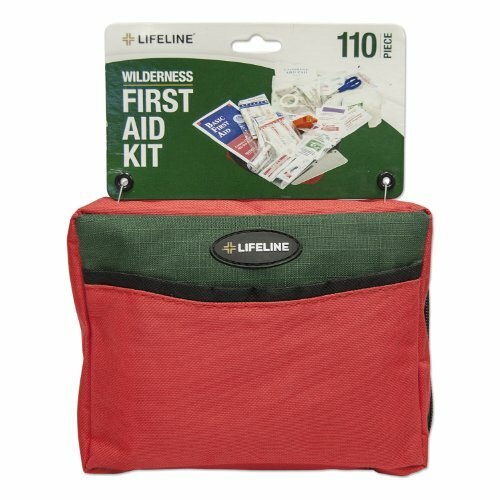 With the Lifeline Wilderness First Aid Kit you will be prepared for any situation. Versatile and compact his first aid kit will prove to be an asset for your outdoor first aid needs, or any other times in which first aid may be needed. Wilderness first aid kit can be stored in your car as well as outdoors. This first aid kit comes with 110 pieces including survival tools: signal mirror, emergency whistle, plastic pill vial, and single edge razor blade.